So, my mother-in-law makes chocolate pie for every holiday. 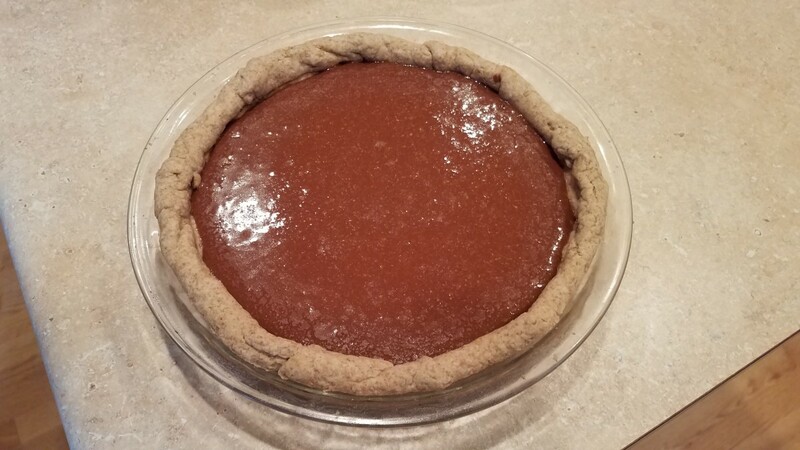 Unfortunately, she makes hers with store-bought pie crusts and chocolate pudding mix. 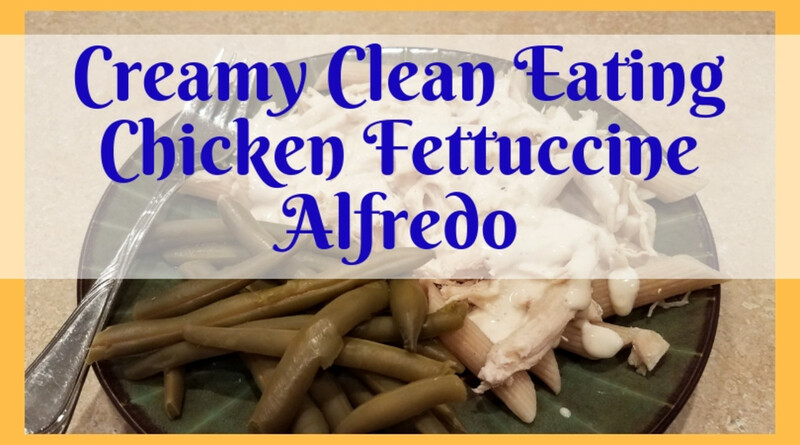 Although this may sound delicious to many of you, my family works hard to eat in a clean eating way, which means that we try to stay away from processed foods and all of their refined sugar and flour, as well as their chemicals and preservatives. 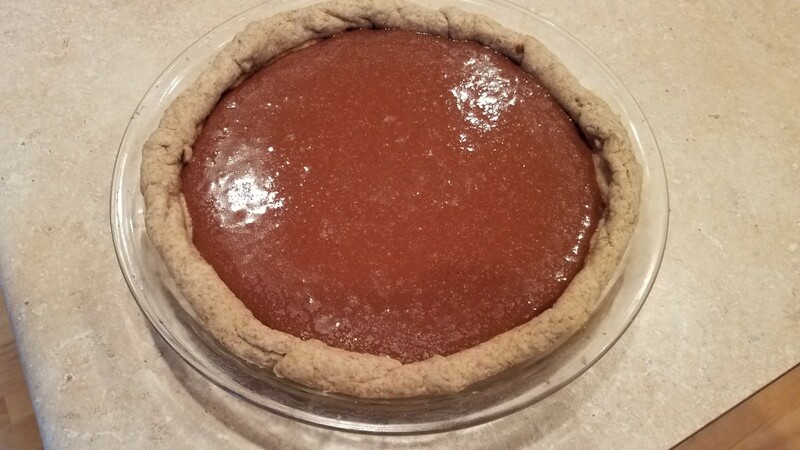 Chocolate pie is one of my husband's favorite desserts, and my son is always heart-broken that he can't have any of his Grammie's chocolate pie. Thank goodness he knows that he just has to wait until the next day and he can have all of the homemade chocolate pie that he wants right here at home—and he can even help make it! 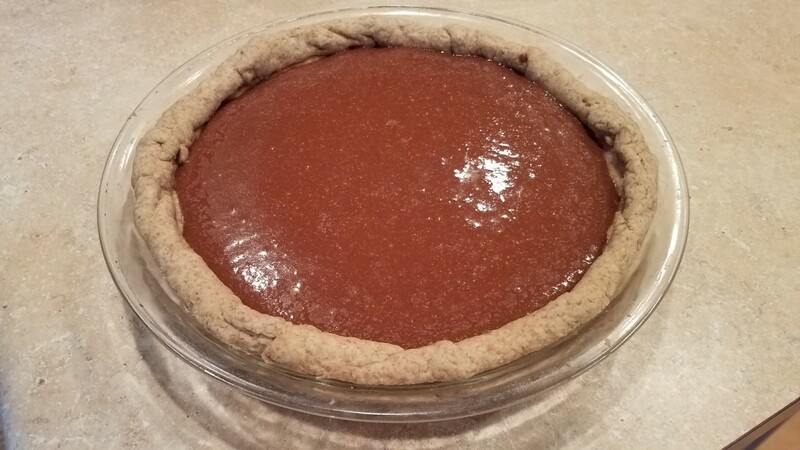 I have a few different versions of this pie; this particular one incorporates a banana flavor. It's really delicious, but it's very banana-flavored. 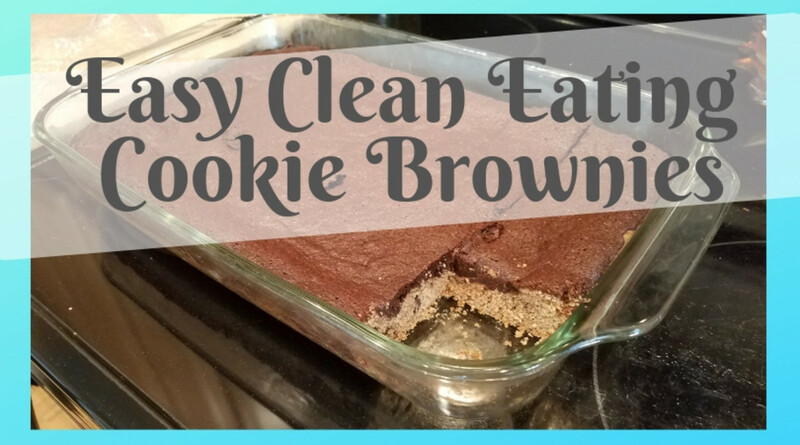 For those that would like to keep their bananas and chocolate far, far away from each other, I also have a recipe called Clean Eating Dark Chocolate Freezer Pie. 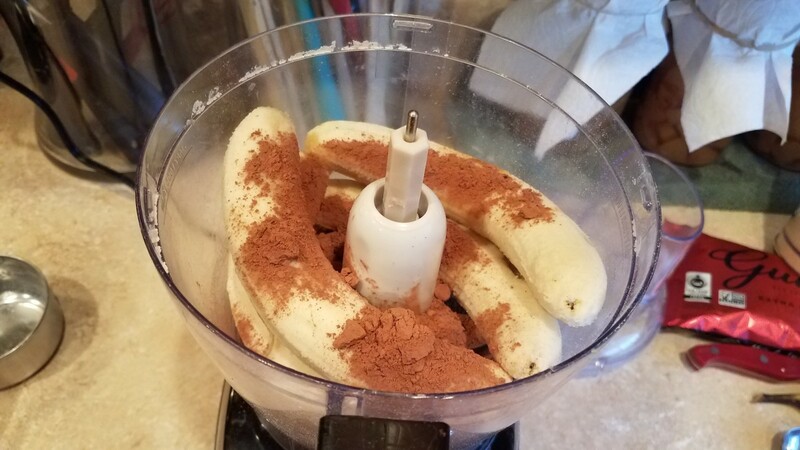 My husband really likes his desserts to be as close to his mom's recipe as possible in terms of flavor, texture, and consistency; therefore, I use bananas to get that creamy, gooey, and sweet texture he's used to. What I love, though, is that you don't have to eat store-bought, processed ingredients to get the desserts you love. 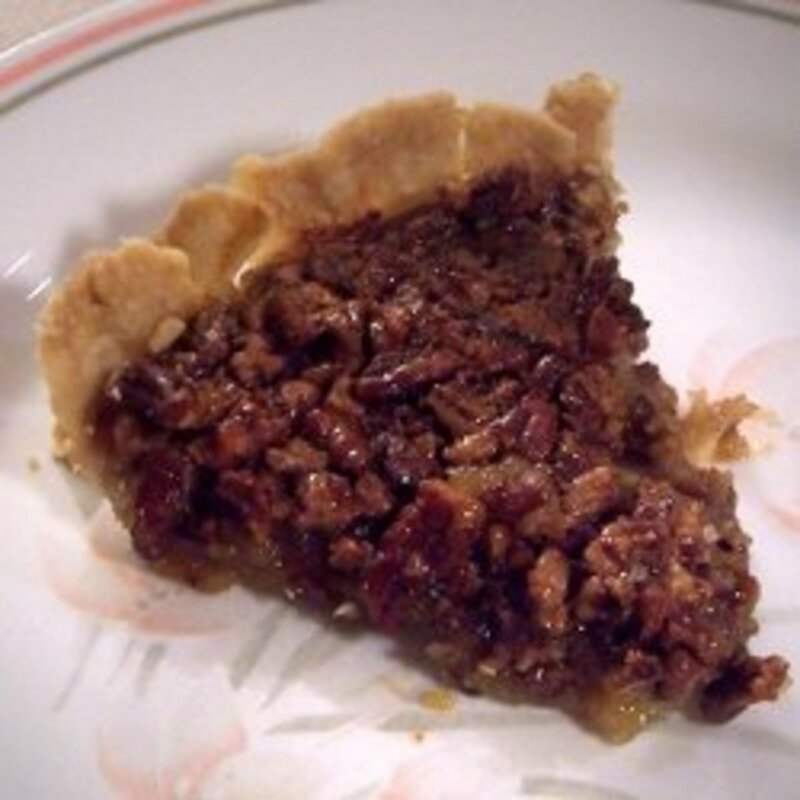 Although I play with a variety of pie crust recipes throughout my collection of yummy concoctions, this recipe, like all of my others, is super easy to pull together really quick. 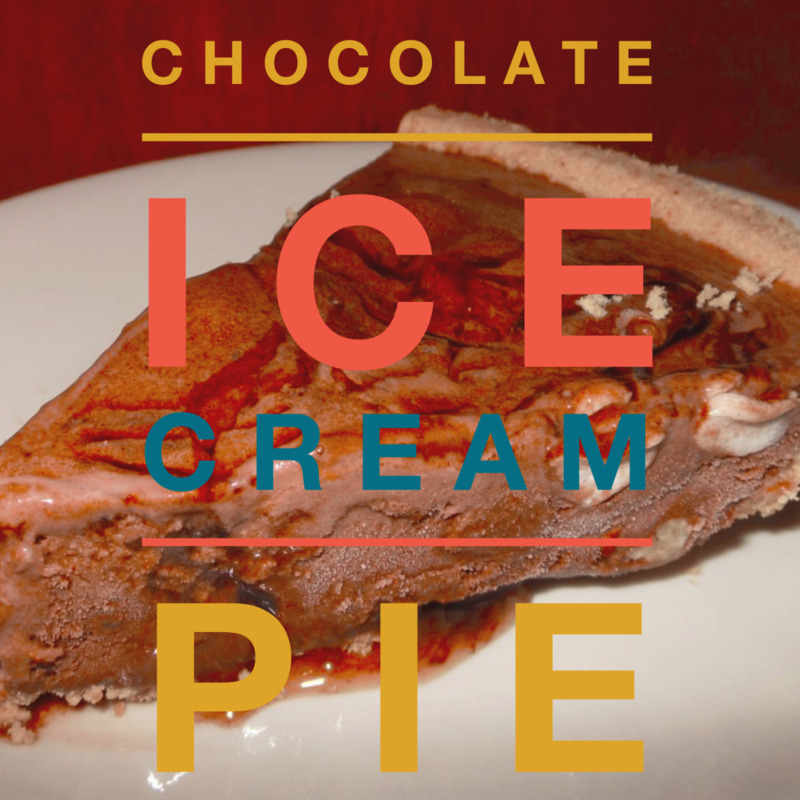 Now, when you want a chocolate pie, but not all of the chemicals that go with it, you can make your own. I highly recommend keeping it in the freezer, though. Let me show you how I did it! I would begin by preheating your oven to 350 degrees F and greasing your pie dish with some coconut oil. 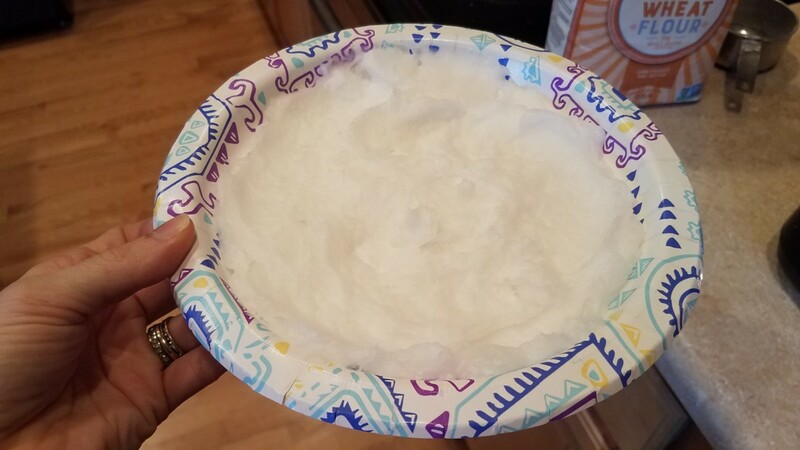 With the 1 cup of coconut oil from the recipe, spread it thin on a plate and pop it into the freezer. We're going to pull together the crust first since we have to bake it, and all of the ingredients need to be super cold. 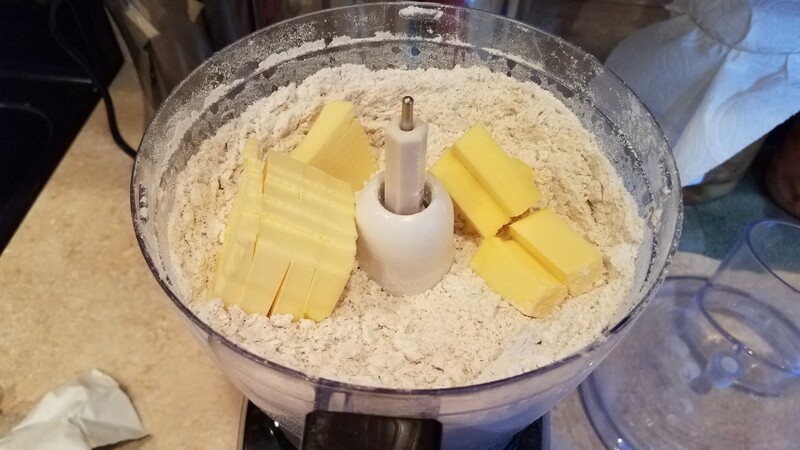 In the meantime, add your flour to your food processor and chop up your cold butter. Add the butter to your processor and process it into your flour. Next, pull out your coconut oil from the freezer and break it into small bits. Add those to your processor as well and process them into your flour. 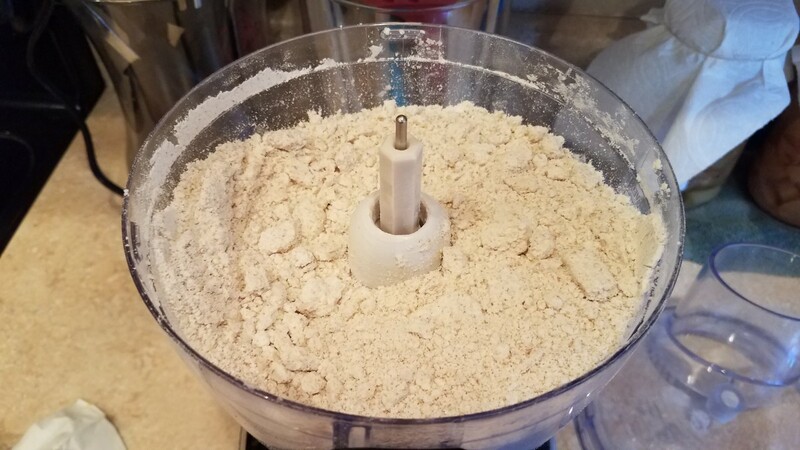 You should get a crumbly flour mixture. Pour this into a large mixing bowl and add your salt and sugar. Mix in. Now slowly add in your water a little at a time until your dough comes together. I always need the full half cup for my dough. Feel free to use more if your dough isn't coming together. 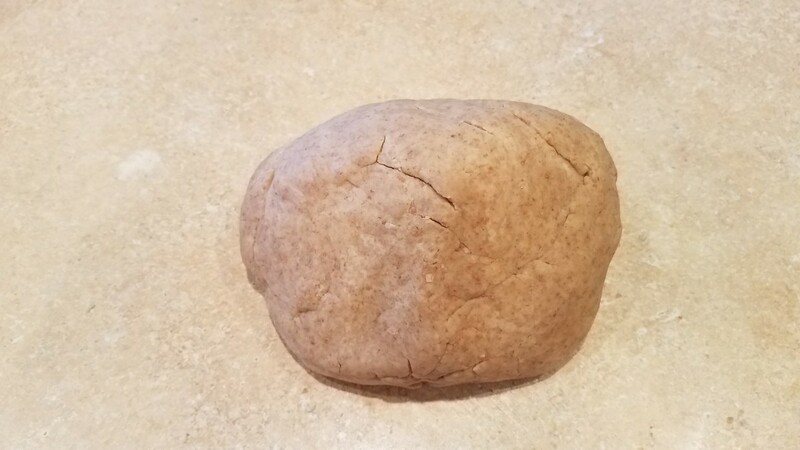 Dump this out on a clean surface to knead with your hands. 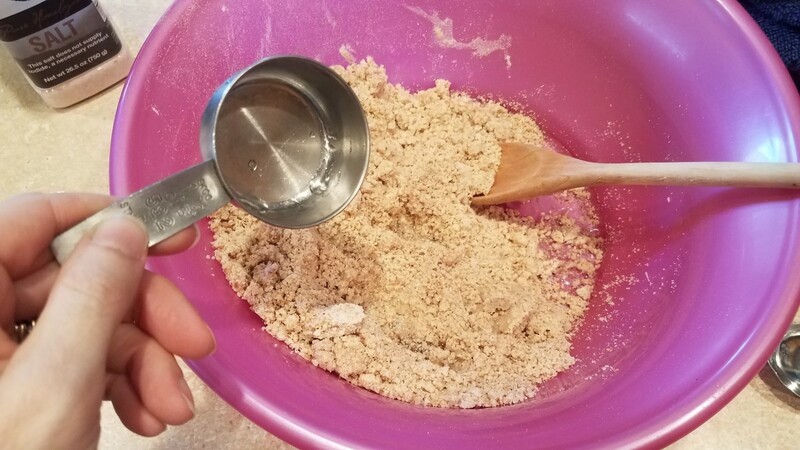 You will be using your hands to make sure all ingredients are combined evenly and to get a soft dough. Feel free to use flour if your dough is at all sticky. 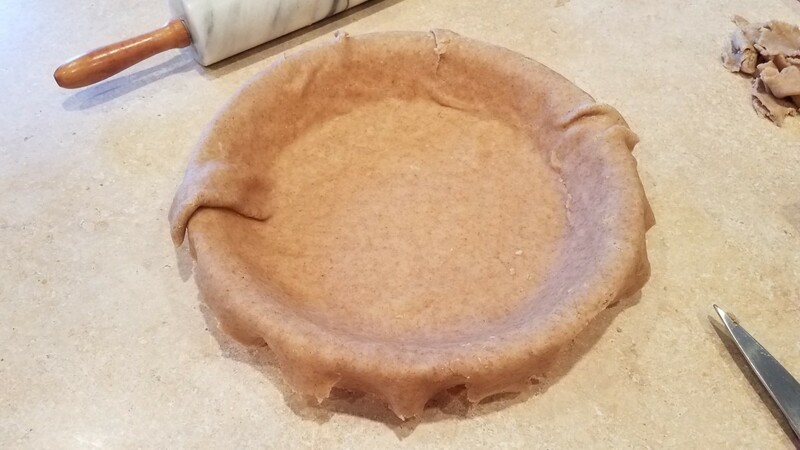 When combined, cut it in half for two pie crusts and roll out one piece until just bigger than your pie dish. Transfer it over from the counter to your dish. I usually do this by folding it in half gently and possibly again if needed, and then unfolding it in my dish. Don't worry if it tears a bit. It presses back together very easily. Press it down into your dish and cut off any extra around the outside. 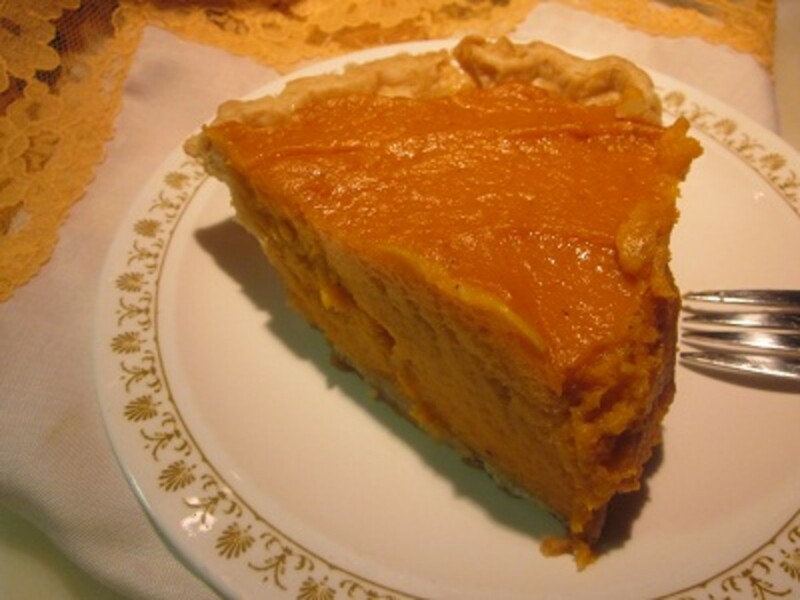 You can decorate your pie crust as you wish with your fingers or a fork. I chose to fold mine in and roll it around the top. Now poke holes in the bottom with a fork. 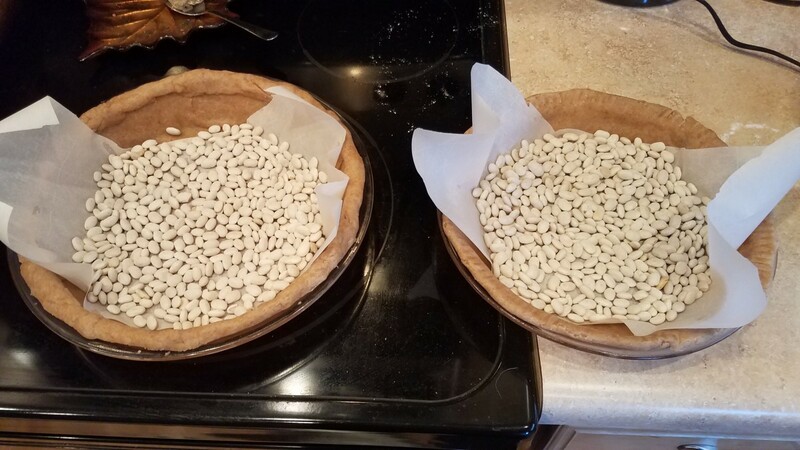 I also weighed mine down with some parchment paper and dry beans to keep it from puffing up during baking, but that's completely optional. Bake until crispy and slightly brown. For me that took about 40 minutes. 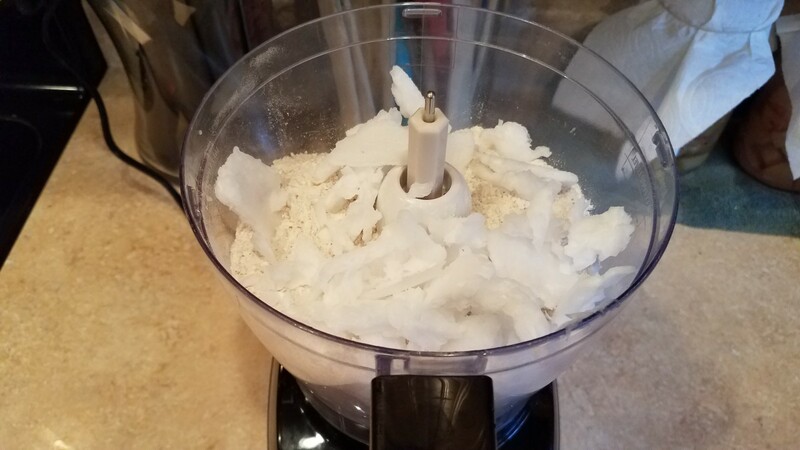 While your pie is baking, you can add all of your filling ingredients to your cleaned food processor. Remember you just used it for your crust. Process everything down until smooth. 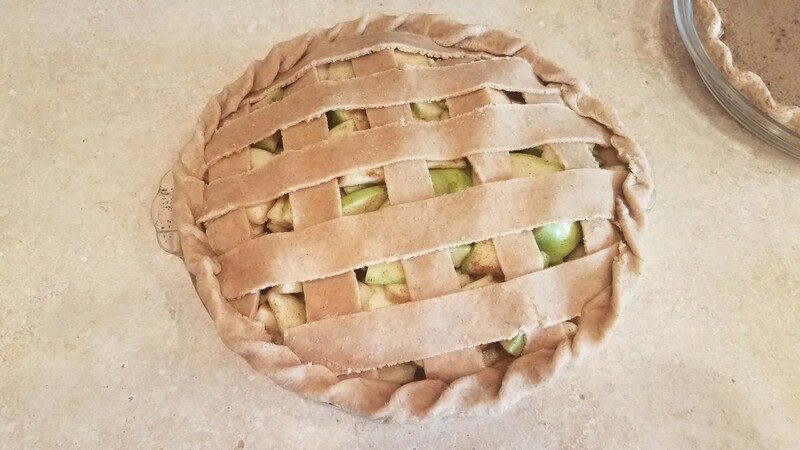 When your pie crust is cool, pour in your filling, cover with saran wrap, and pop it into your freezer immediately. I put it on a cookie sheet so it didn't tip over. Thaw for 15 minutes or so before serving, but then store in the freezer. Start with your crust first so it can cook while you're making the filling. The trick to this recipe is making your coconut oil ice cold. I smear mine on a plate into a thin even layer and pop it into the freezer. 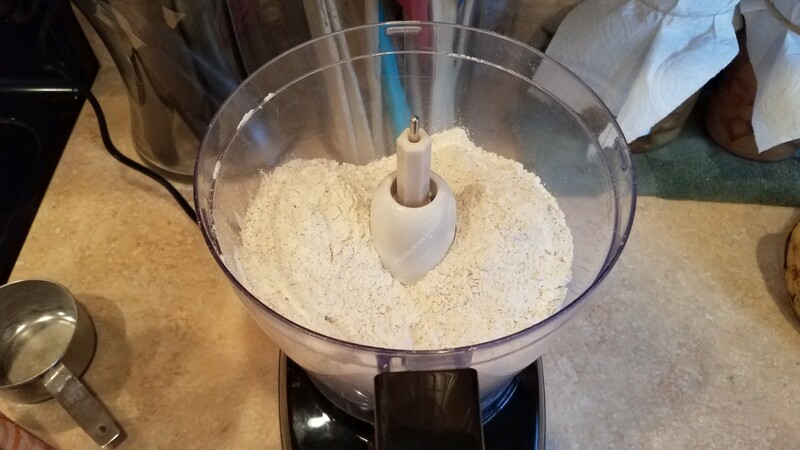 Then I pour my flour into the food processor. 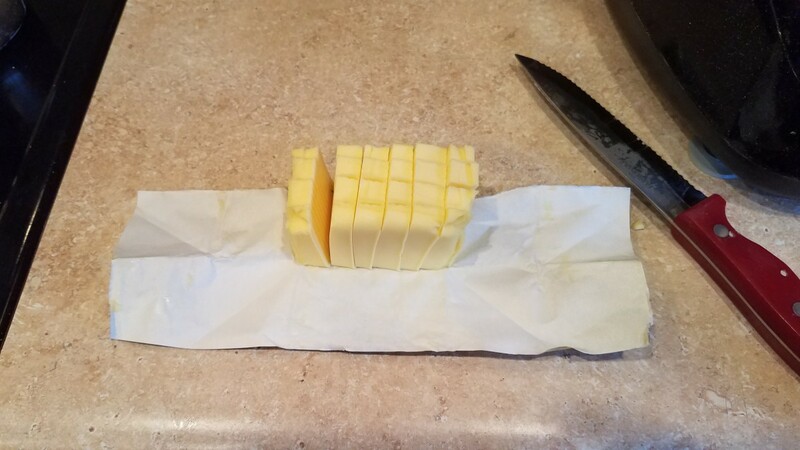 Then I chop up my cold butter into small chunks. I add that to the flour and process it in. Then I pull my coconut oil out of the freezer and break it all into small pieces. I add that to my processor and process that in as well. I want it to be crumbly. Then I dump it into a large bowl and add all of my other ingredients. If your dough isn't coming together, you may need a little more water. Next, I dumped it on my counter and mixed it with my hands until it was thoroughly combined and soft. Roll out one pie until it's just larger than your pie pan. Transfer it over. I usually do this by folding mine in half, and possibly in half again to move it, and then unfolding it into my pie pan. Press into place. 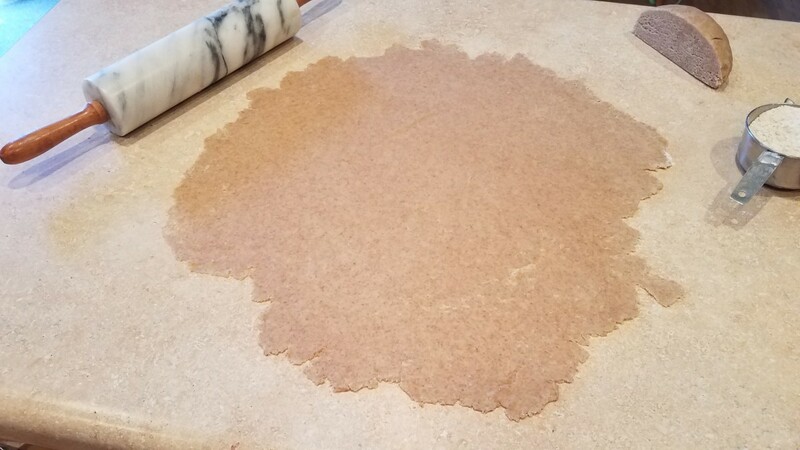 Cut all excess dough from the outside and decorate your edge. I just folded in and rolled for this pie. 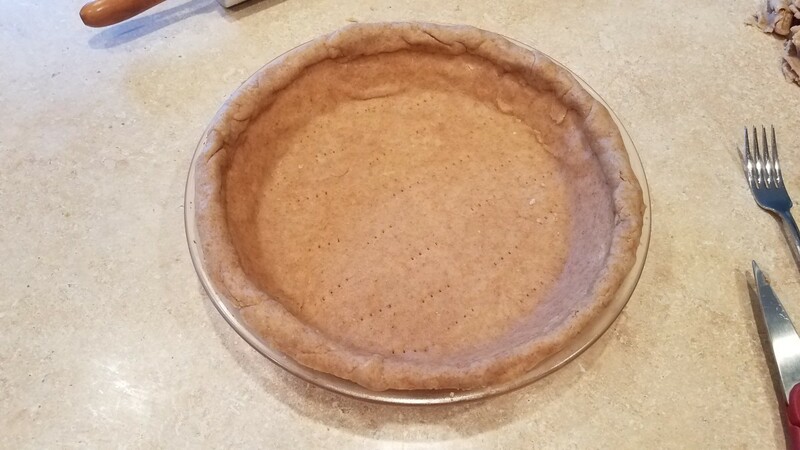 Because this is a freezer pie, you'll want to bake it your crust before filling it.I poked holes in the bottom of my crusts with a fork and partially filled them with dry beans so the crusts didn't bubble up in the oven. Then came my pie filling. 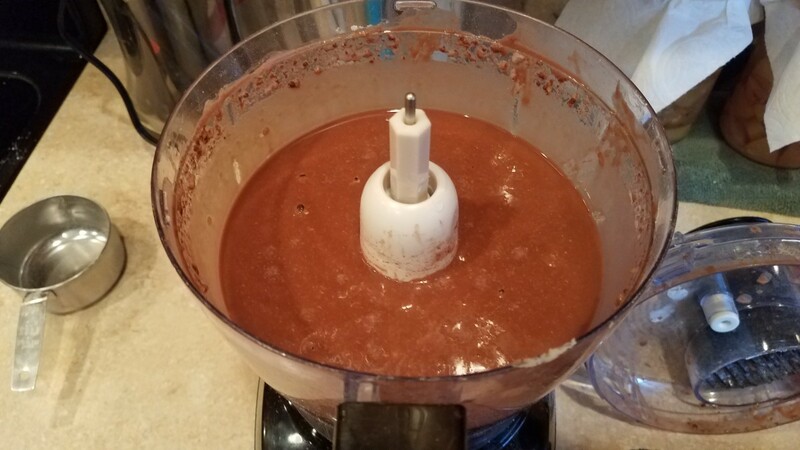 I poured all of my ingredients into the bowl of my food processor and mixed until creamy. Then I poured the filling into my crust and popped the whole thing into the freezer on a cookie sheet so it didn't tip over. Honestly, I feel bad for not letting my son eat most of his Grammie's wonderful food. I feel like I have to concede on so many things already, as every dish she serves is full of processed food items, and I don't want to upset her or just avoid her house altogether. We've tried to talk to her about how we eat and why it's so important to us, but she simply doesn't understand. 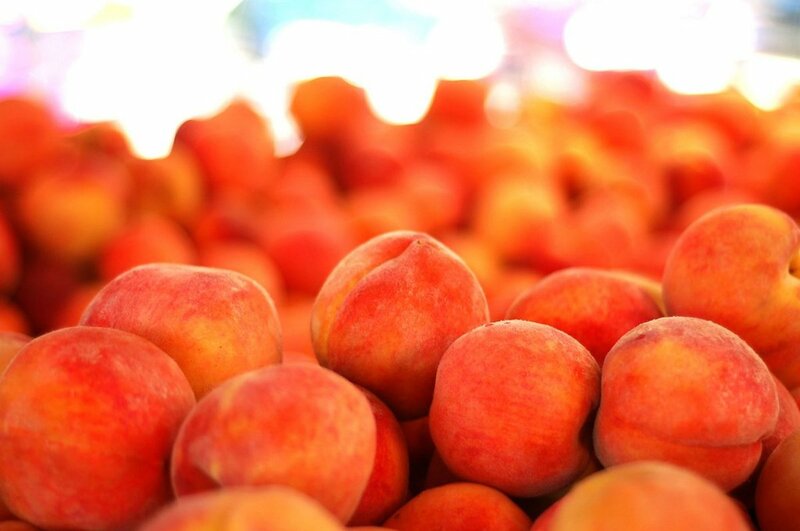 Clean eating to us simply means fresh fruits and veggies, grass-fed meats and dairy products, and whole grain food products. We don't eat food in boxes, bags, cans, or packages that's already been made for us because they are full of dangerous chemicals and preservatives that cause all sorts of damage to your body. The refined white sugar and white flour in all of those products is nothing but chemicals, as all of the nutrients have been burned out of them. We make all of our own snack foods and bread products at home using a variety of different types of grains, nuts, and seeds. It's not about being stuck-up or stingy—it's about keeping our children as healthy as possible to give them the best chance at a fulfilling, happy life without illness. I'm glad my children at least understand why we make the decisions we do for them, even if it doesn't seem fair (because they have to see everyone else eating it). And as a bonus, they get to help me make them at home and have no limits on the wonderful food they eat here, as long as they are eating a variety of good foods. 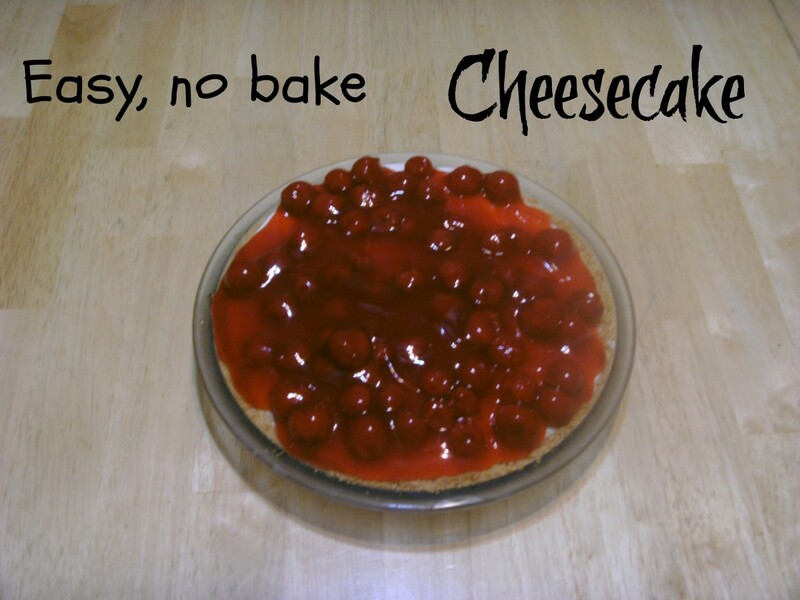 This recipe was no less disappointing. It was creamy and rich, and the crust was crispy and flaky. It came out perfect. The bananas and dark chocolate chips really make this chocolate pie recipe amazing. You'll have to give it a try yourself and tell me what you think! Eric, absolutely. 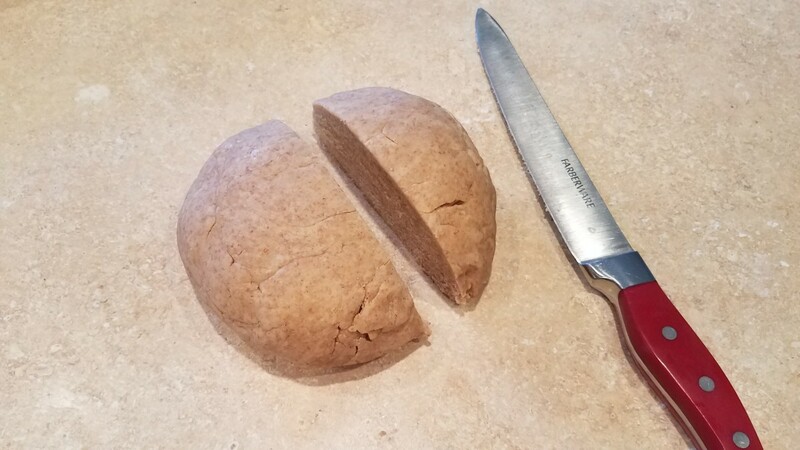 Whole wheat flour retains all of the healthy nutrients, and if organic, avoids all of the crazy harsh chemicals used during the processing of white flour. Pink Himalayan salt is actually mined from the ground where it is found in natural abundance, rather than being man-made with chemicals and heat. And coconut sugar has been named one of the healthiest forms of sugar, besides real raw honey, and isn't processed like white sugar, so once again, no crazy chemicals! Enjoy!! Just quickly: Do these pass the taste test for you? They look all good but my verdict is not in on the healthy of all these. I do have them all in my pantry. My boy is going to love eating and even better making this with me. "yes Gabe you can lick the spoon"
This pie sounds delicious, and I applaud you for finding so many delicious desserts that are healthy.